A modest house, you could say. But from the bannisters and the sprawl of rooms that were now falling apart, you could say it hadn’t always been like this. It wasn't a long walk but in the narrow alley with him leading you in the dark, you felt nervous. Strangers like you, a woman who is curious and likes collecting stories, have so much to be scared of. And then, his old house loomed in front of us. Dark, crumbling and almost shattered with the weight of dreams, of unrealised potential and frustrations. The front portion of the house belonged to his brother. They had divided the house where they lived once as family. He had read about the ancient king in a book by Mani Padma years ago. He said he had been collecting stories of heroes of ancient times such as Reshma Chuharmal, Dina Badri, Hirni Birni and Raja Cholan. “I collect these stories. We have forgotten so many people who fought for us. These were local heroes and there are these folk lores,” he said. 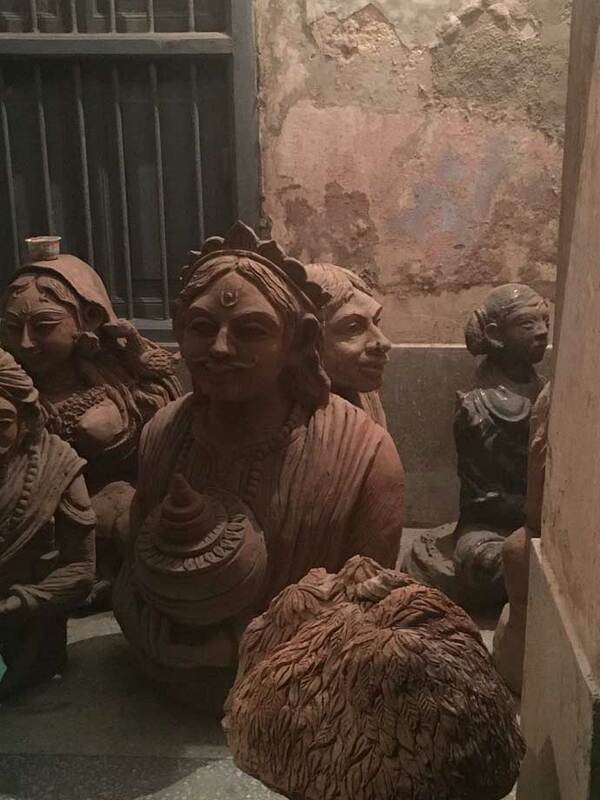 Ghosh, a senior of Gupta, who won the national award for his sculptures and terra-cotta work in 1984, is one of the most mysterious artists from Bihar. 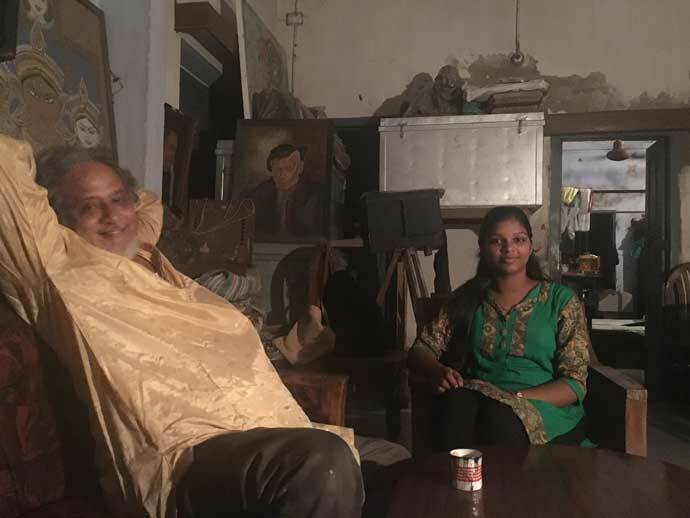 He has remained in Patna most of his life and is among the lost artists who never found patronage or support for their craft. 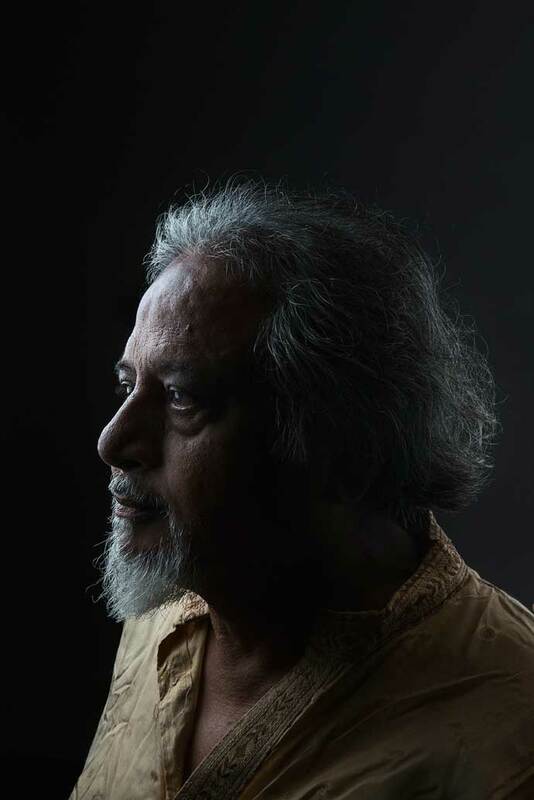 A 1978 alumni of Patna College of Arts and Crafts, Ghosh said that the museum is a beacon of light for artists in Bihar. "It is a leap of faith for us," he said. He was born in 1909 in Patna and walked with a limp as he had injured his leg when he was a child. Before the tea is served, the artist who you met the day before at the museum where he had made an installation inspired by the story of Sama-Chakeba, said you should climb the stairs to see the rest of the house. 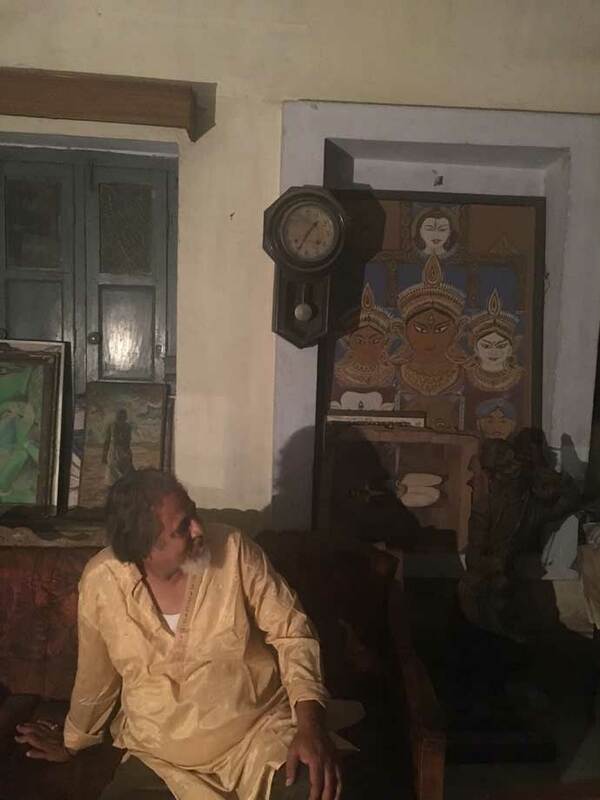 Back in the living room, you notice an old portrait of a man in a black coat and a dhoti. You notice that it is almost like a painting. Ghosh’s father experimented with the application of oil paints on bromides and imbued colours in B&W photos and even dusted photographs with colour powders. He insisted you eat the rasgullas and the fish eggs he brought home in the morning in anticipation of your visit. His daughter came and sat with her father. She said she would never become an artist because it isn’t a good life but she would help her father in his archiving efforts. She trusted him. The wife never stepped out of the dark. The daughter was in college and said she was proud of her father.